Alright y'all, let's do something totally cool! This may even be a blog first so you'll definitely want to be a part of this. Here's the deal: I know a lot of you read this blog and I know many of you have said at least one prayer during this journey, from pregnancy til now. I want every single person who has said a prayer (formal or informal) and that prayer has been answered, to post a comment. You do not have to say what you prayed for unless you want to and you do not have to sign your name unless you want to. It will also be cool to see where everybody is from so please put that in there as well. This would be such awesome testimony and would be amazing to look back on in years to come. If you have never posted a comment and are unsure how to do it, give it a whirl, you won't break anything! On a different note, do not tell Finn this, but he is scheduled to come home Thursday. Yea! Also, Noah is tolerating and absorbing his feeds well. He is now off TPN and lipids and is solely taking almost 2 oz of formula now; they plan to remove his central line Wednesday. He could be home as soon as next week!!! Maybe these were answers to your prayers. The prayers started when pregnancy seemed so far away...and then there were 4!!!!!!!!! From that day forward my prayers were answered everyday - they were alive and growing stronger! Then two came home, a surgery was very successful and now a date is set for them all to be together as a family with mommy and daddy!! We have said so many prayers and can't think of any that haven't been answered. May the blessings continue. Praise God!!! I am excited everyday to see the progress of the beautiful babies. I pray for your family and the fact that they will all be home together soon. I know they must miss each other!! I am so excited about the "Quad Squad" starting soon. It will be exciting to see the babies each week and be apart of their lives. I'm certainly here, everyday! (original blog lurker) Prayers being said for the remaining boys to come home and for the continued health of the Goerlich Family. It says pray without ceasing, and I have ever since I met Chris and heard your story while in physical therapy. Prayers for health, safe arrival, and as time went on, for the individual needs of all of you have been heard and answered with God's awesome power and His timing. His work in your lives and in the babies progress speaks of His great love and concern for all of our needs. How exciting to see that very soon you will be six at home - isn't it amazing. I said many prayers for you guys and so far they have all been answered. Im batting 100%. THey look great. I cant wait til you have them all home. My first prayer was for at least one baby for you guys. But, we were so blessed you had four. I will be glad when they are all home. Hope to see them when they travel to Austin. 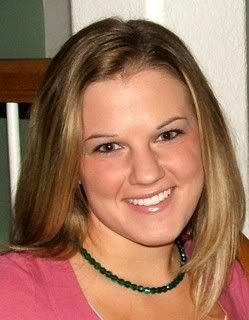 I have said many prayers for your entire family since the day the babies were born and I was introduced to this blog. I am so happy that they are all doing well and will hopefully be reunited soon. I will continue to pray for you guys. I have never met you, I go to COF & found out about the blog through COF Sisters.... 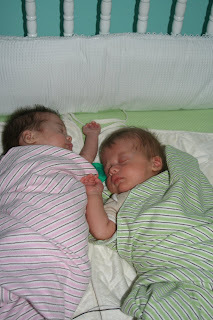 I have been praying for the kiddos health from day 1, as well as peace & strength for you two! It is so motivating & a true blessing to be able to read up on the kids, it gives hope to others & reminds us of what is important in life! We are so proud of you both. The babies and growing and doing great. Isn't is wonderful how God takes charge of his people if they only will ask. God Bless your family. I've been praying for all 6 of you but Noah especially as we so know what he has been going through. 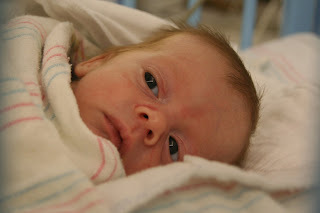 Off the TPN is a huge answer to prayer and maybe coming home next week will be just one more. Praying for all of you from Plano, TX!! The babies are precious and can't wait till they can all come home!! We've been praying for you since the babies were born. 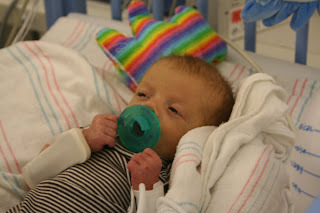 We prayed that your NICU journey would go smoothly and that Noah would come through surgery well. Looking at the latest pictures and updates, it seems as though prayers have been answered in a big way. They all look so sweet, but I just LOVE the picture of Noah with his soothie, precious! Keep up the fantastic work! I'm not sure how I found you guys...maybe through another multiples' blog? I have a friend with 1-year-old quads so I've come across several blogs via hers. Anyway, I'm from Memphis, TN and have been praying for you guys since around the middle of the pregnancy! I'm so glad everyone's doing so well! Y'all have four gorgeous babies. I have been praying for you guys from shortly after they were born. I am so excited they should all be home soon. Our prayers have been coming since the day of your dear children's birth. We have prayed for them to be healthy and for the doctor's and nurses who have been caring for them and of course for their parents. We have also kept Noah lifted up in prayer so that he can join his siblings at home, just as healthy as the rest. God Bless The Goerlich Family. I just recently found your blog. I'm praying that you will have all of your babies home together soon. They are all absolutely adorable. Well, I started praying as soon as I heard about your journey - first that you would make it to 32 weeks, then for an easy birth and for everyone to be healthy, Noah's surgery, all the breathing issues - and have been praying for you all ever since. I have been praying since just before the babies were born. Every Monday at bible study I would add you to the list, and I still do. My prayer now is for Finn and Noah to come home soon. I prayed for a safe and healthy pregnancy and for healthy babies. I also prayed for God to give you both the courage and strength that is needed for having guads! And I cont to pray for all 4 babies to be home with mom and dad. I've been praying since Sorority at CoF when you were having a hard time conceiving, and now it's an instant family! We've prayed for a healthy pregnancy, that you would carry them far, that they would be healthy and quick to come home. We prayed for Noah's surgery and Finn's breathing episodes. We're so thankful that your family is almost together (and I can't wait to feed and hold tiny babies)! I have prayed for you since we had our bible studies at friday lunches, then when you found out you were pregnant with twins, then triplets, and then quadruplets! I pray for your family to be continually blessed with good health, love, and happiness! God Bless! It seems all prayers have been answered from the beginning and now. Hoping Mari would hang in there and all babies will be OK. Everyday someone at the office would ask how Mari was doing and I would say great. Now they ask about the babies first and then they ask about mommy and daddy. They love looking at the website. Stumbled across your blog about a month ago. Praying since then. Cutest little babies. I first heard about your babies by overhearing Chris talking to someone else adjacent to me working out at Sports Medicine. Ya'll had just found out about having quads; I was amazed then at both his calmness and his excitement at the adventure to come. Since their birth I have been following your family's progress through this amazing journey and just wanted to say two things: your children are beautiful and you are doing an amazing job throughout these early, difficult weeks. Thank you for sharing. Hey! Cedar Rapids has been praying! I'm only one of them. God's faithfulness has been evident this entire time. It's been so fun to keep up with you all and to see your faithfulness, as well. Your testimony has touched so many lives. I have fallen in love with each of your beautiful children. Love and prayers to all of you from Mark and Laura and Community of Faith! I have said lots of prayers for your entire family. I know what hard work this is. I am a friend of Chris's Mom and live in Lompoc california. You and Chris amaze me. The first thing I remember being taught as a child is "God is Great". Over and over He has proven just that, including His work with these little miracles. Over and over He has answered our prayers for the entire Goerlich Family. Mari and Chris - Thank you for sharing with the rest of us just how great our God is. I've been praying for your family and the babies ever since those early weeks when you first found out. I thank God everyday that they are doing so well. I wish I lived closer so I could help you and of course hold those beautiful babies. I'm really happy for you guys. We have been praying and will continue from Papillion, Nebraska. (We are friends of Jim and Emalee's. )God bless you and your beautiful family. Hello Goerlich Gang from Tiki Island (soon to be Dickinson)! All six of you have been in my thoughts and prayers since I first got the call from Mari announcing her surprising and exciting news - three babies! And then the next call - FOUR! It's been exciting and heartwarming to see you go from being my crazy and fun neighbors to being proud and beaming parents. Your little ones are lucky to have such a wonderful Mommy and Daddy.